This is the Wall of Awards that Chewee has accomplished in three years. 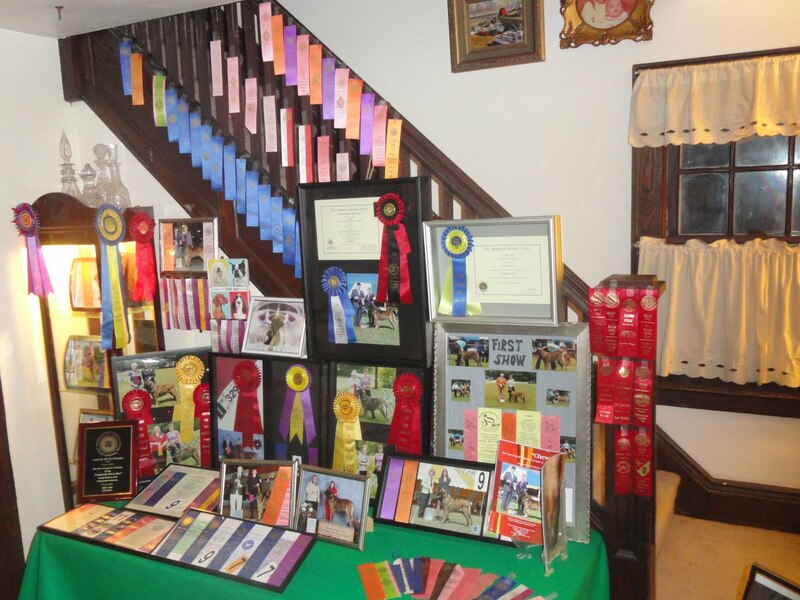 On this wall there is, his AKC Championship ribbons and CGC certificate along with the Book of Show Dogs. Chewee has accomplished in three years what it take some dogs a life time to acheive. The blue ribbons are first and the red are second place. The purple and orange are first place puppy ribbons.